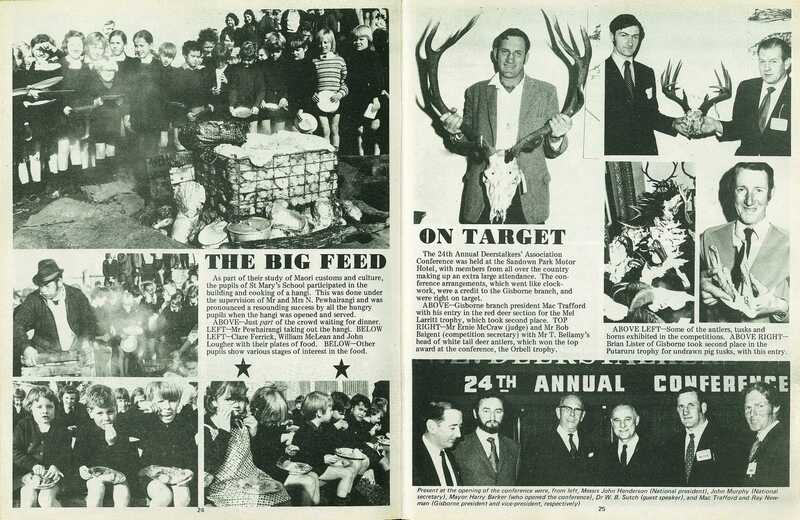 The 24th Annual Deerstalkers' Association Conference was held at the Sandown Park Motor Hotel, with members from all over the country making up an extra large attendance. 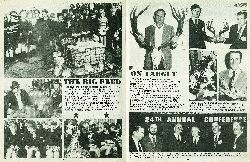 The conference arrangements, which went like clockwork, were a credit to the Gisborne branch, and were right on target. 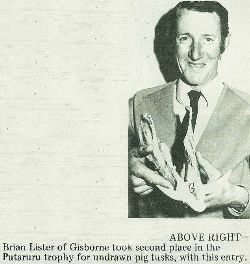 Gisborne branch president Mac Trafford with his entry in the red deer section for the Mel Larritt trophy, which took second place. 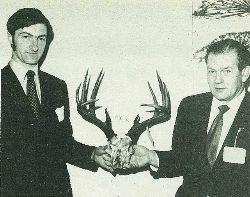 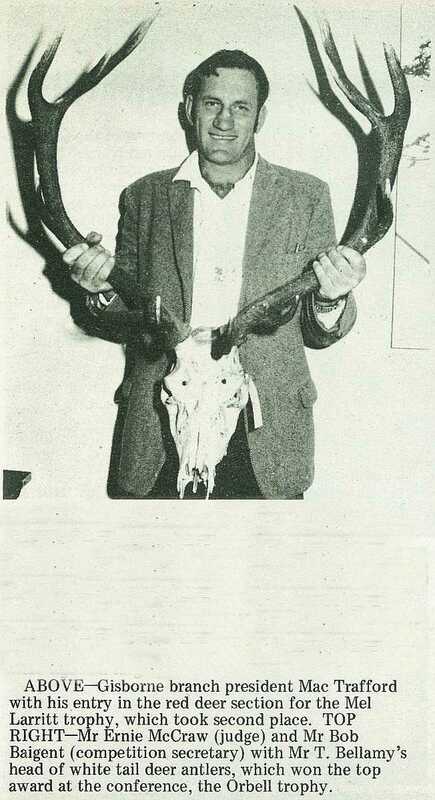 Mr Ernie McCraw (judge) and Mr Bob Baigent (competition secretary) with Mr T. Bellamy's head of white tail deer antlers, which won the top award at the conference, the Orbell trophy. 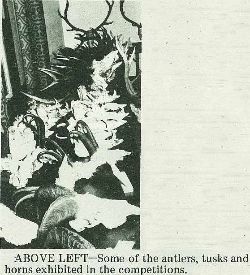 Some of the antlers, tusks and horns exhibited in the competitions. Brian Lister of Gisborne took second place in the Putaruru trophy for undrawn pig tusks, with this entry.